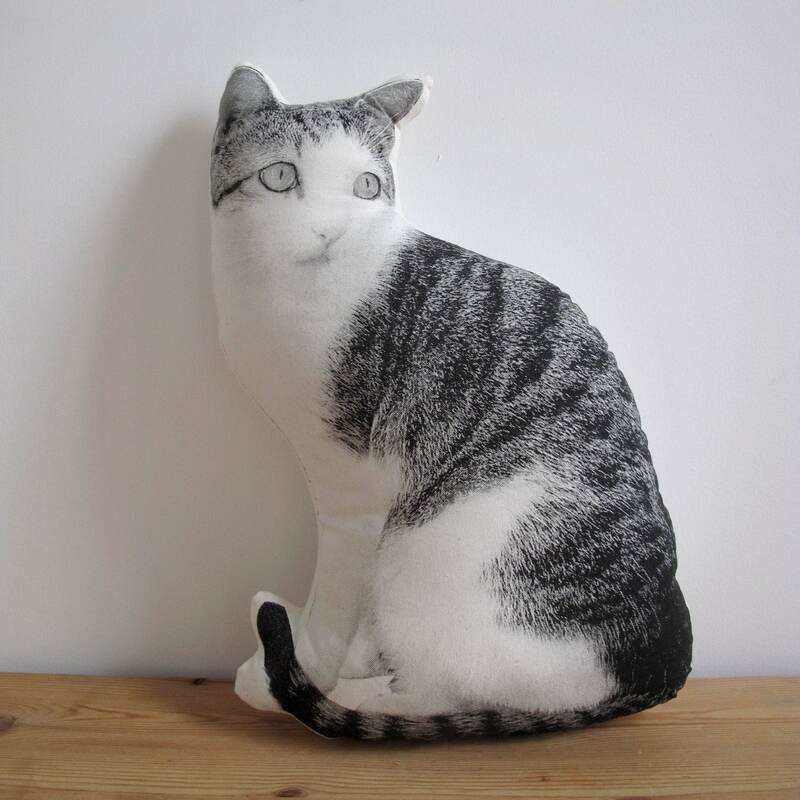 Get a custom pillow of your very own pet! 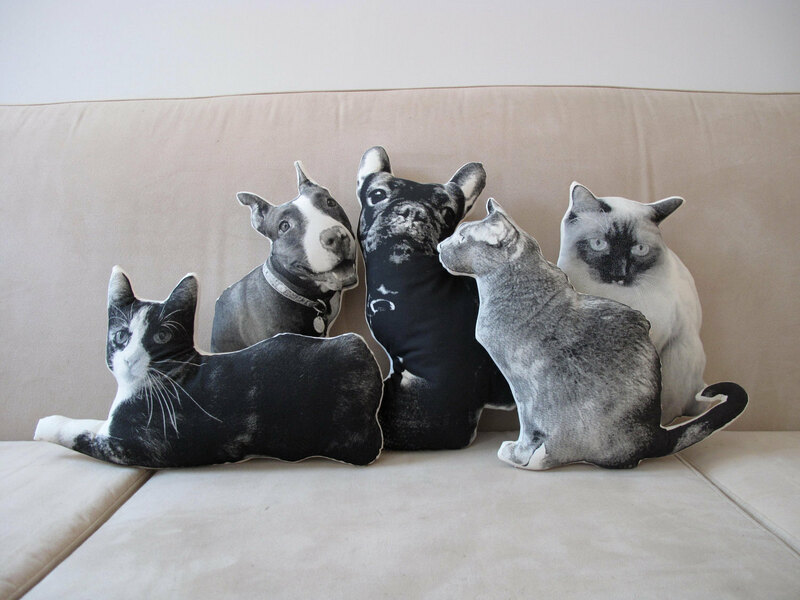 Send in a photo of your pet and have it transformed into a custom silkscreen pillow. Each photograph will be turned into a black and white image with a slight halftone dot necessary for the silkscreening process. 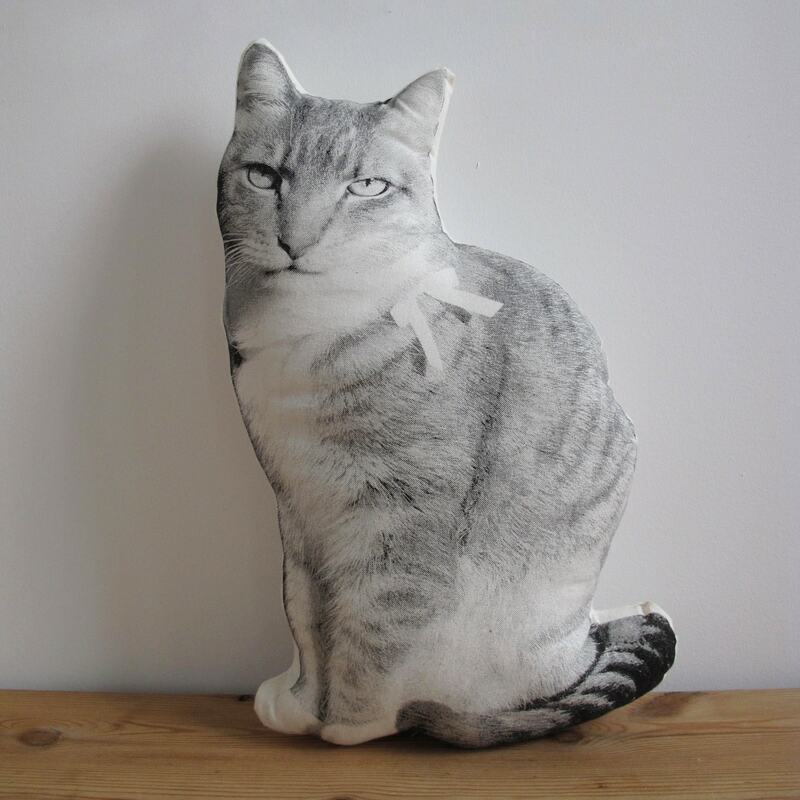 -Pillows measure approximately 13"x17" depending on the proportions of the photograph. 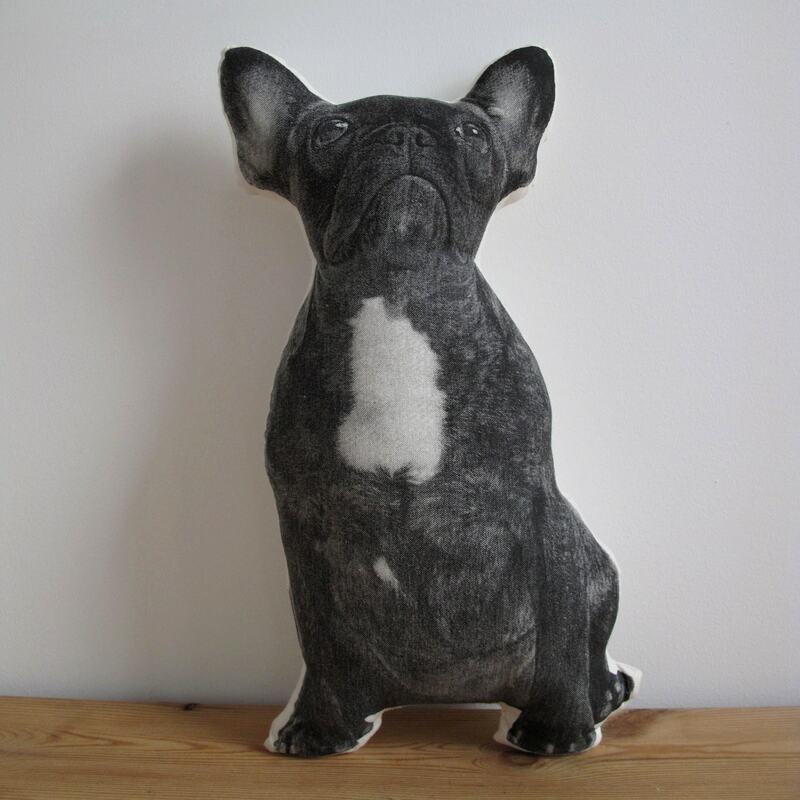 -Clear, high resolution, full body (no cut off paws) photos work best. -The quality of the photo directly affects the quality of the print so if you have any concerns about your photo please email me and I will be happy to help you pick the best one! 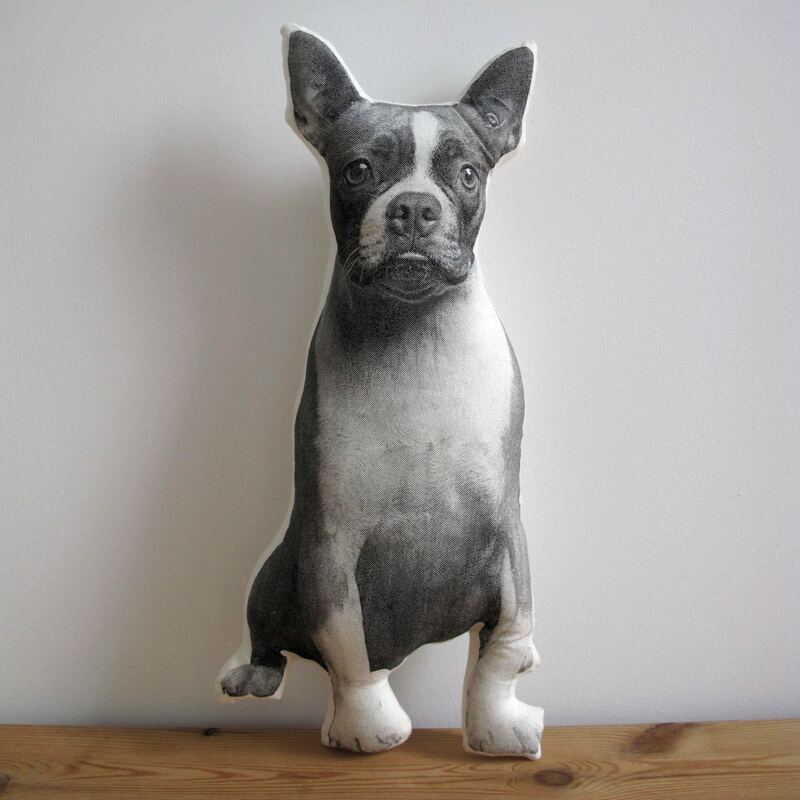 Materials: All pillows have been silkscreened with non-toxic water based ink. They are printed on muslin fabric and stuffed with 100% poly-fil.